Akshsansh Gupta, popularly known as Bunty Dada among his peers, has overcome what was rated as a 95 per cent disability to acquire a PhD degree. Growing up with cerebral palsy did not deter Gupta, who received his doctorate degree at a special convocation ceremony held recently at Jawaharlal Nehru University's vice-chancellor SK Sopory 's office. The special ceremony - held months ahead of next year's formal ceremony - was held by the university to honour Gupta's extraordinary efforts. Gupta's limbs are completely dysfunctional, his arms are stiff and he has difficulty speaking. He also struggles to control his movements. Gupta battled his hardships for five years to finish writing his thesis on 'Brain Computer Interface'. He travelled between India and Malaysia to present a paper on the subject of computer science. While speaking to the Times of India, Gupta said, "I opted for computer science as it is easier for me because of the nature of practicals and laboratory work it entails". Gupta's journey has been anything but easy. He even had trouble getting admission at a primary school in his hometown Jaunpur in east Uttar Pradesh. However, Gupta trudged on. He was determined to receive equal education as his siblings, and other non-disabled people . 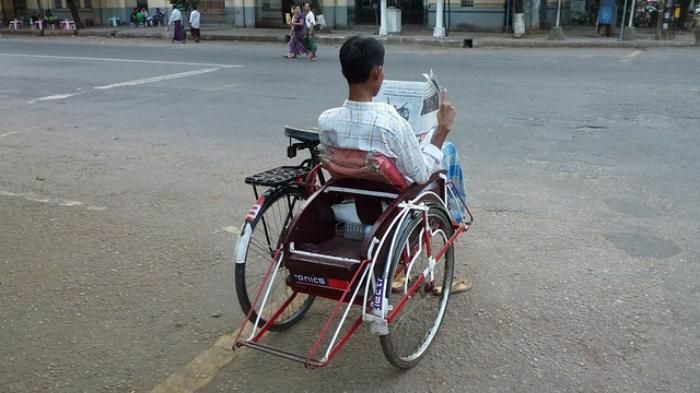 He has however, expressed disappointment at the attitude people in India seem to have towards those with disabilities. The first thing people ask is, 'Kya karega padhke (What will you gain by studying)? ", the TOI quoted Gupta as saying. A humble and religious person, Gupta reportedly expressed his gratitude towards his mother who insisted that he opt for higher education. He also thanked Mahajan, the rickshaw puller who ferried him every day to the Umanath Singh Institute of Engineering and Technology in Jaunpur, where he pursued a BTech degree in computer science. Gupta is now hopeful of getting a job, preferably in the university itself. We wish him luck. READ NEXT >> State BJP wants a CM nominee for #UP2017. Will Modi, Amit Shah oblige?